With a marketing concentration, students will be prepared for careers in marketing and public relations. The marketing concentration helps to prepare the student for a variety of careers as well as giving them a foundation of important business principles. To read about some possible career options available with a marketing concentration, click here. 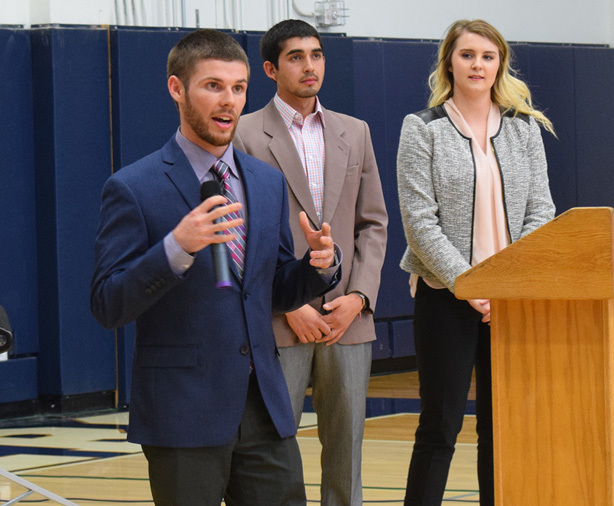 TheAgency@EOU, is a marketing class at Eastern Oregon University that combines experiential work and instructional class time. Students sign up for the BA410 “TheAgency@EOU” class listed under the College of Business. The class is a variable (2-6) credits depending upon the time the student can dedicate. Members of the class will be assigned projects and duties that align with their career goals. For more information Students or Businesses should contact Professor Carpenter at her email scarpent@eou.edu or by phone at 541.962.3616.